New maps produced from data gathered during the New Horizons spacecraft’s flyby of Pluto last year reveal surprisingly widespread water ice shaping mountains capped by methane snow and forming an underlying bedrock that blankets the distant world. 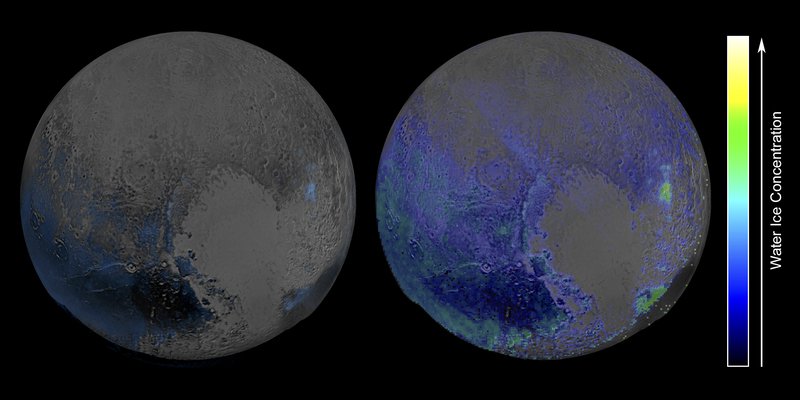 The latest results indicate Pluto has more water ice than previously thought, scientists said. “Everywhere we look, from mountains to tectonics to the impact features, it’s pretty clear that the water ice crust is near the surface of Pluto,” said Alan Stern, the New Horizons mission’s principal investigator at the Southwest Research Institute in Boulder, Colorado. 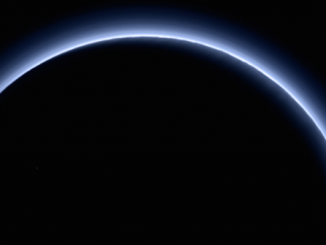 The New Horizons team analyzed data collected by an infrared spectral imager within the probe’s Ralph instrument, which measures the composition of Pluto based on light reflected off its surface. A first look at the spectral data showed muted deposits of water ice. The initial analysis compared the sensor’s raw measurements with the reference spectrum of pure water ice, and scientists said that technique was susceptible to masking by reflections from other ices — such as nitrogen, methane and carbon monoxide — hiding the water ice underneath. Scientists devised a new model to analyze the data incorporating all of Pluto’s various ices, producing a more sensitive map, officials wrote on the New Horizons mission’s website. It turns out water ice is more prevalent on Pluto than expected, but it is still absent from large regions such as the vast plains informally named Sputnik Planum on the western lobe of the dwarf planet’s famous heart-shaped feature. Sputnik Planum likely formed when another object slammed into Pluto billions of years ago, carving a basin that filled with nitrogen ice. 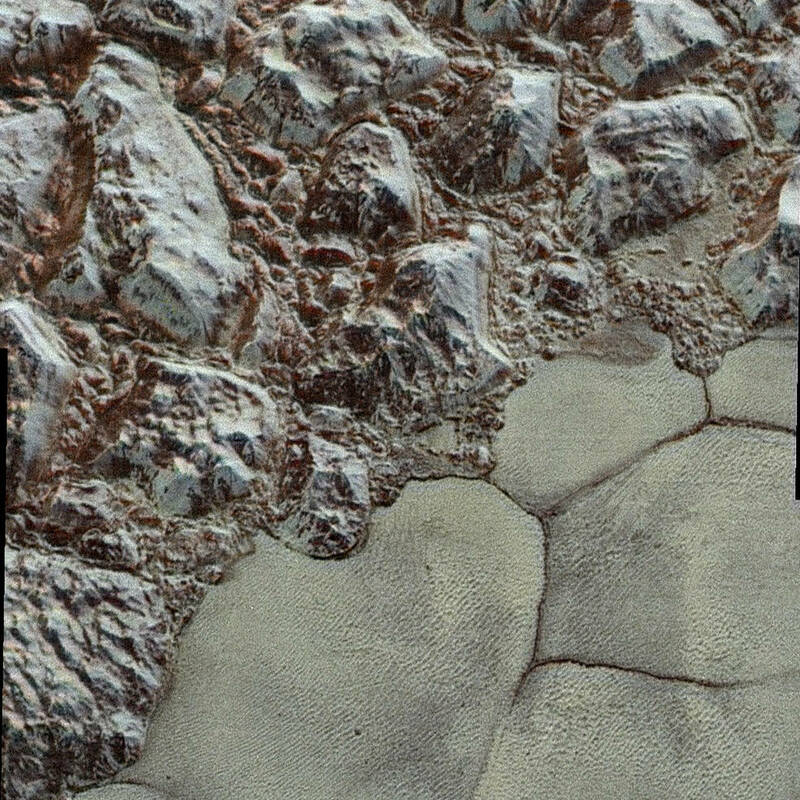 Images of Sputnik Planum showed apparent glacial flows descending from an adjacent mountain range, and cellular patterns that scientists think are caused by convection from a heat source deep inside Pluto. 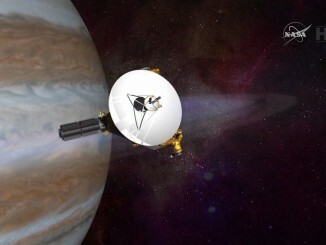 The geologic activity came as a surprise to many on New Horizons’ science team. Pluto lurks more than 30 times farther from the sun than Earth, it is smaller than the moon, and it is not tidally locked to a large nearby planet, leaving little energy to drive its and climate and geologic movements. Like Sputnik Planum, another expanse near Pluto’s north pole, informally called Lowell Regio, also has a weak water ice signature. “This indicates that at least in these regions, Pluto’s icy bedrock is well hidden beneath a thick blanket of other ices such as methane, nitrogen and carbon monoxide,” scientists wrote on the New Horizons website. Stern told scientists Wednesday in a meeting of NASA’s Small Bodies Assessment Group that the New Horizons team assumed towering mountain ranges discovered during the July 14 flyby were made of water ice, which behaves much like rock at Pluto’s frigid temperatures near minus 390 degrees Fahrenheit (minus 235 degrees Celsius). 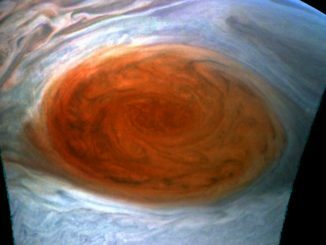 Before New Horizons zipped by Pluto last year, telescopic observations from Earth showed the faraway world to be rich in nitrogen. But nitrogen is not strong enough to form mountains like the peaks discovered on Pluto. “Nitrogen can’t support steep topography because it’s a very weak material, and it slumps under its own weight, even in Pluto’s low gravity,” Stern said Wednesday. The rugged landscapes of water ice found on Pluto are covered in a thin veneer of other frozen materials that hid the water’s presence from ground-based observatories, and even the Hubble Space Telescope, Stern said. Despite the lack of a water ice detection from Earth, many scientists still predicted the material would be found on Pluto. But the new maps show much more water ice than known before.